Hey, guys! I’m back. After months of blogging hiatus, here I am trying to revive my blogs. Well, anyway, even if I wasn’t blogging much, I still continued to try out a number of skin care products. In fact, there were times when I tried to come up with a short review of those products but I just didn’t know where to start. 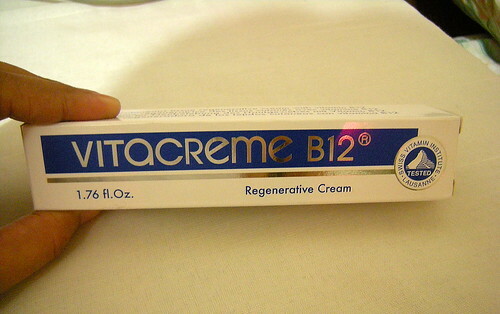 Finally, I have decided to pick one product to review before the month ends and I chose Vitacreme B12.